Tad Williams’ new short story collection, A Stark And Wormy Knight, is available now, worldwide, as an ebook, $4.99 (or equivalent) for one month. The following story is unique to this blog and a few others. Happy Holidays. I know you have been waiting as impatiently as I have for the Tad Williams Christmas story. I have heard from Deb (@MrsTad on Twitter) that the story should be here today or tomorrow. That is not accounting for time differences between Tad and myself. I may have a bit of an exclusive next week. Mrs Tad, Tad Williams’ amazing wife, has let me know that I can publish one of Tad’s Christmas stories. On my blog. Can you believe that? 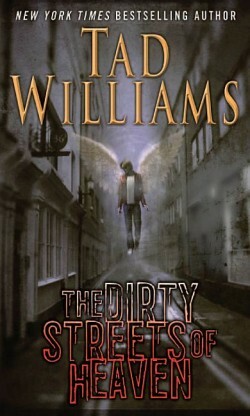 Tad Williams writing for me on my blog. What a great thought. Maybe not entirely true but, hey, we can all dream.